Marshall Radio Telemetry designs and builds tracking equipment to find targets over long distances or to recover valuable assets lost in the field. Originally designed for recovering hunting falcons, Marshall tracking equipment is powerful, lightweight and portable. 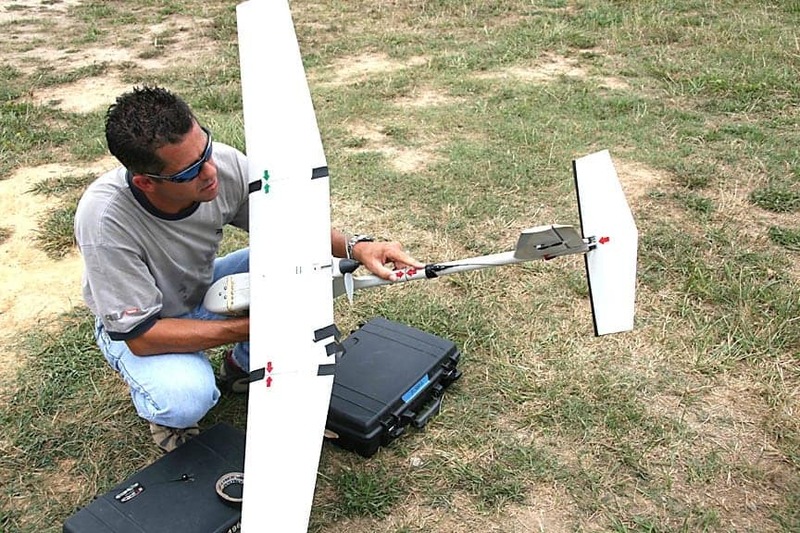 Our technology has been successfully deployed by SOCOM and other groups to quickly locate and recover costly UAV’s after an unintentional fly-aways, saving significant amounts of time and money. Special mounting clips are available for easy on/off attachment of Marshall transmitters to the fuselage of the AeroVironment Raven UAV. Systems are generally comprised of one tracking receiver, several matched transmitters and a Desert Hard Case to house and protect the system. All transmitters are housed in cases machined from the toughest 7075 aircraft aluminum. In addition to withstanding high physical shock, they can also withstand high electric fields and ESD events. Marshall transmitters are specially engineered to provide perfect frequency stability over extreme temperatures to operate between -20F and 150F without signal drift. Antenna lengths vary between 7 and 13 inches depending on the model used. 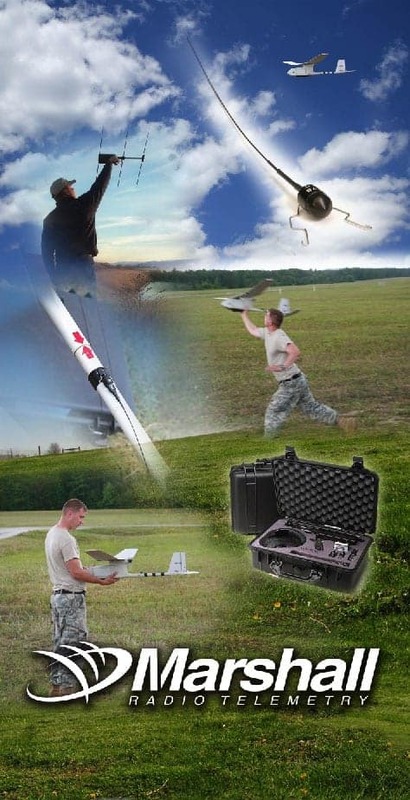 Marshall Radio can assist in developing a custom attachment method for your UAV. Free space range(ground range is approx. 1/10) 30mi. 50mi. 130mi. 200mi. 350mi. The Field Marshall direction finding receiver is used to locate and recover an asset by pointing the integral directional antenna in the direction of the strongest signal and moving toward it until the target containing the transmitter is found. The receivers are ‘channelized’ for simple operation, where each transmitter has a specific frequency for easy identification. Two models of Field Marshall receiver are available. Both receivers incorporate the same collapsible three-element directional yagi antenna into a one-piece, lightweight and portable design. 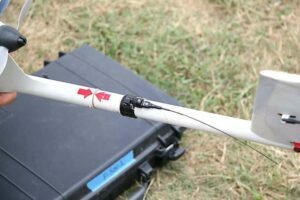 The three element yagi antenna design provides pinpoint accuracy and quick direction to target in locating a downed UAV. 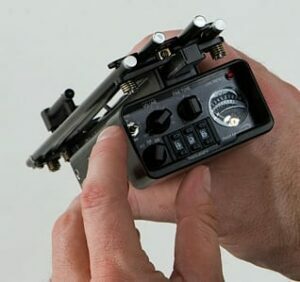 The Field Marshall 1000 covers one entire 1000KHZ band (tracking up to 10 unique transmitters), and utilizes the rugged and proven full size yagi antenna. 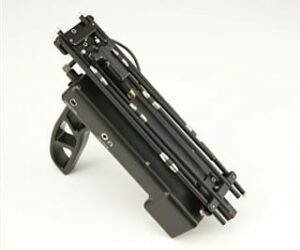 The Field Marshall 5000 covers 5 bands (5000KHz), can track up to 50 targets, and uses our exclusive “Half Size Loaded” Yagi for ultra-compact size and ease of use. Marshall receivers are housed in a rugged case machined from aircraft aluminum to shield receiver electronics from abuse and unwanted signals from all other sources. Control panels are back-lit with red light to protect the user’s night vision during after-dark operations. By submitting this form, you consent for your details to be sent to Marshall Radio Telemetry and its authorized partners in order to respond to your inquiry. Depending on the location of the organization, your personal information may be transferred and processed outside of the European Economic Area.